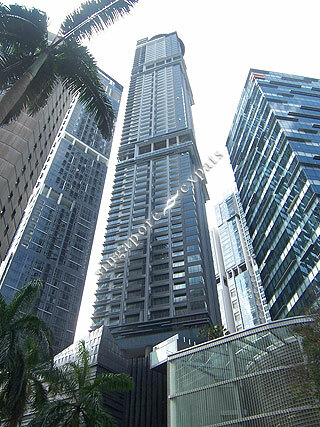 SKYSUITES @ ANSON is located at 8 ENGGOR STREET in district 02 (Shenton Way, Tanjong Pagar) of Singapore. SKYSUITES @ ANSON is a 99-year Leasehold Condo development consisting of 360 units. SKYSUITES @ ANSON is completed / TOP in 2015 (estimated), developed by ARCADIA DEVELOPMENT PTE LTD.
Educational institutions like JEWELLERY DESIGN & MANAGEMENT INTERNATIONAL SCHOOL, INSPIRATION DESIGN INTERNATIONAL SCHOOL, CHATSWORTH INTERNATIONAL SCHOOL (ORCHARD), CANTONMENT PRIMARY SCHOOL, CHIJ (KELLOCK) and RADIN MAS PRIMARY SCHOOL are near to SKYSUITES @ ANSON. SKYSUITES @ ANSON is accessible via nearby TANJONG PAGAR, OUTRAM PARK and TELOK AYER MRT Stations. Good condo in the city, 10 minutes walk from MRT station thought it is not sheltered. Very near to Chinatown and decent number of KTVs and eateries nearby. A total of 72 floors, half the units on till 55 floor are either studios or ‘single bedrooms’. Some people may say the single bedrooms are actually studios, but I feel otherwise. Decent size for one, two or more people, size is manageable even when partying. A good mix of foreigners, hardly any Singaporeans, but mainly white men with ‘friends’. Security reasonably okay, especially if they know you are foreigner, they also never ask any additional questions. Frequent drinks and parties on the 56th and roof top, though security might often come to ‘close’ the party at 10pm, you can easily return after they are gone. TBH, if there is a Jacuzzi and drinks, do expect some noise and party over the weekend. And with drinks, expect a bit of more mature situations. It is a place with lots of young bachelors and bachelorettes, a few old folks in between, but not ideal place for any family, as there are no schools nearby. The condo is also LGBT tolerant, I saw a few groups of men, but no discrimination at all. Though expensive, I managed to secure my leased at slightly under $1800 and it is suitable for young professionals with an active lives. Skysuites is superb for those who like luxury with easy access to the city. Brand new building teemed with unparallelled facilities. Highly recommended for expatriates who enjoy good taste.